China's first passenger jet, the 90-seat ARJ21, is unlikely to get regulatory approval before 2013, Reuters reports from Beijing, putting it about five years behind its maker's original schedule. 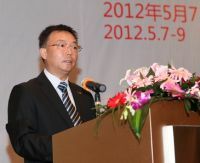 It is in most respects a development of the MD 90 series. The delay could also disrupt plans to develop the 168-seat C919 jet aimed at breaking the global dominance of Airbus and Boeing. 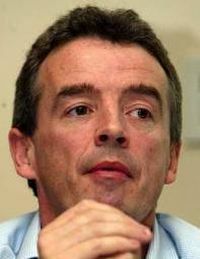 Michael O’Leary of Ryanair has visited China and expressed an interest in the project. Whether this is serious, or a manoeuvre by the wily Irishman, is difficult to establish. O’Leary says that he needs new aircraft, but unlike the previous occasion when sales were difficult to come by, this time around both major manufacturers have full order books. 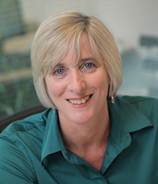 The Guild of Travel Management Companies’ (GTMC) Chief Executive, Anne Godfrey has announced that she will be leaving the organisation this summer to take up the role of Chief Executive at The Chartered Institute of Marketing (CIM). Godfrey, who has been at the GTMC since October 2009, is seen as a change management specialist in the field of membership organisations. Design Hotels will open its new London Dorset Square property on 18 June. 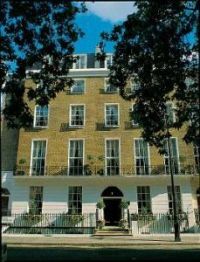 The 38-room hotel, once an elegant townhouse, is situated in the leafy square of the same name, just off Marylebone Road, and close by Marylebone Station (for Wembley, the Cotswolds and Birmingham) and Baker Street on the Underground (Jubilee and Bakerloo lines). Transport for London (TfL) has launched its ‘Temporary Road Changes’ planning tool for the forthcoming Olympic Games. It is searchable by postcode enabling road users to see how the areas where they live, work and visit will be affected. Following problems with sister company Cimber (see 21 May issue) Stockholm-based Skyways Express has collapsed and stopped flying, together with its subsidiary City Airline. It is some 15 years since we launched our first electronic newsletter, and with three years into An Executive Review of Business Travel (AERBT) we thought it was time to move on. Computers have got much faster and can deal with graphics far better, and we now live in the age of handheld PDAs. 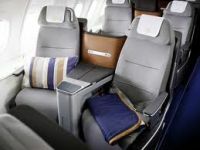 The Business Travel News (BT News – www.btnews.co.uk) offers the same 20 weekly news stories as previously, together with COMMENT and 'On the Soapbox' monthly, our leisure page 'On Tour', and monthly cruising and motoring supplements. Plus of course 'AND FINALLY'. A pure text version is available. We intend to continue being sometimes slightly controversial but always readable. Make sure that newsletter@btnews.co.uk is on your ‘white list’, especially if you have subscribed and it is not received. 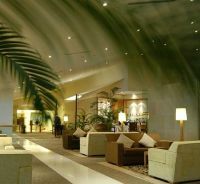 Please visit The Business Travel News stand 746 (opposite the Qatar Airways sponsored lounge) at Business Travel Market. This week American Airlines celebrated 30 years of flying from London to Dallas Fort Worth (DFW), Texas. The first flight took place five days after the US government had approved non-stop Boeing 747 services from DFW to London. Now, in 2012 – through American’s partnership with British Airways – the company offers 70 daily flights between North America and the UK (Manchester and Heathrow). 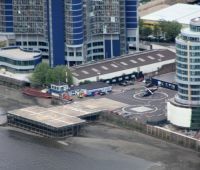 Sponsored by Barclays since May 2011 the London Heliport is anticipating its busiest weekend of the year to date, for the British Grand Prix at Silverstone. Bookings from City-based corporates and private individuals ahead of the weekend of 6-8 July are up on previous years with just a few slots remaining for the three days. More details have emerged of the sale of bmi Regional to an investment group that involves Stephen and Peter Bond, of Bond Helicopters in non-executive roles. 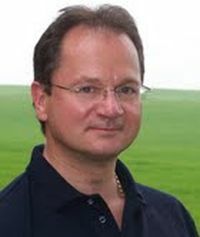 Leading the new partnership are Ian Woodley, who founded Business Air in 1987, from which bmi Regional evolved; Graeme Ross, Scotland Director, Eastern Airways, 2002-2010; and Robert Sturman, former Chief Executive at British World Airlines at Southend. bmi Regional is operationally based at Aberdeen and has a sizeable presence at East Midlands Airport. Literally destroyed by an earthquake in February 2011 Christchurch, on the South Island of New Zealand, is gradually rebuilding itself. 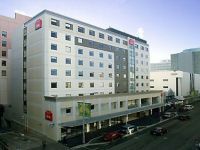 At the forefront is the international Accor Group which now says that it will re-open the Hotel Ibis with a target date of September 2012 followed by Novotel Christchurch planned for April 2013. Decisions on the future of Accor's two All Seasons properties are still pending. Just two months into the launch of its all Club Class daily service between London and Hong Kong, Hong Kong Airlines received an honourable mention in the aviation category of the prestigious Condé Nast Traveller Innovation and Design Awards 2012 last week. With the 747-8 yet to go into service (see issue 7 May) Lufthansa's Airbus A330-300 registration D-AIKP had the honour of introducing the airline's new Business Class last week with a flight from Munich to Washington. First unveiled to the public at ITB Berlin in March the new kit offers 48 seats in what the airline calls “J Class”. These can fold flat to create a bed 1.98m long. Travellers are provided with an individual entertainment programme and new, enlarged 15ins monitors. Guests in all classes who wish to go online in flight may do so with FlyNet, the broadband internet service. The Qantas Group is to be restructured over the coming months as it enters the next phase of the five-year transformation plan launched in August 2011 to effect its very survival. 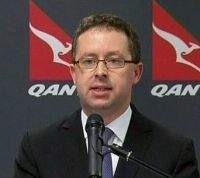 Qantas International and Qantas Domestic – currently combined as ‘Qantas Airlines’ – will be formally managed as two distinct businesses. Each will have its own chief executive and its own operational and commercial functions and their respective financial results will also be reported separately effective 1 July. 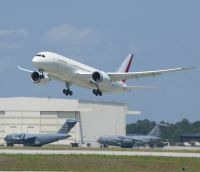 Whilst deliveries of the Boeing 787 are still very slow (seven have gone to ANA so far and four to Japan Airlines), the second production line at North Charleston, South Carolina, has quickly got under way. Boeing only announced it had chosen the site in November 2009. The first flight of a Dreamliner built in South Carolina took place last week, the aircraft destined for Air India with a mid-summer delivery expected. 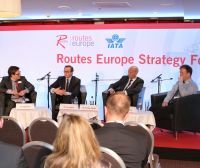 Routes Europe, the networking event between airlines and airports, took place in the hospitable Baltic city of Tallinn (Estonia) last week. World Routes has become so large that regional offerings are now a popular fixture, this event being the seventh annual Routes, covering opportunities in Europe. Hosted by Tallinn Airport at the Radisson Blu Hotel Olympia in Estonia's historic capital, the gathering welcomed some 170 airline delegates representing 85 of Europe's leading airlines – a 35% growth in airline delegate numbers from last year's event in Cagliari (Italy). The Boeing 767 has always been the dark horse of the Boeing aircraft line-up. Back in October 1982 Delta Air Lines (DL) received its first -200 model. DL currently operates the world’s largest fleet, 81 including 21 -400ERs, the largest to date. It is a very much underrated aircraft, now very popular and used on all the carrier’s Transatlantic services. We thought we would start off the new era with Business Travel News in a humorous mood. Travel is not always funny. The following notices have come our way. Royal Brunei Airlines has confirmed that it is to put the Boeing 787 Dreamliner on the London route from August 2013, becoming the first airline in South East Asia to operate the aircraft. Presently the state-owned carrier operates six Boeing 777-200ERs on lease from Singapore Airlines. These will be returned. The new Boeing will have 18 lie-flat state-of-the-art Business Class seats and 236 in Economy. Loss-making Finnish flag carrier Finnair plans to hand over the operation of a third of its European routes to the UK airline Flybe in order to cut costs and help restore profitability. Finnair plans to transfer 12 Embraer aircraft, along with around 200 cabin crew, to Flybe. The British airline will take over the operations in October, although it is not yet decided which routes will be affected. The two carriers are already in a partnership launched last year called Flybe Nordic. World Duty Free Group has opened a completely refurbished walk-through store at Leeds Bradford Airport (LBA). With 5,288ft² of retail space, the new tax-free shop is more accessible and easy for the customer to navigate. Tomorrow (Tuesday 29 May) will see the delivery of Malaysia Airlines' first Airbus A380 at Toulouse. The airline has six on order with the first due to go into service on the Heathrow – Kuala Lumpur route 2 July, initially three times per week. 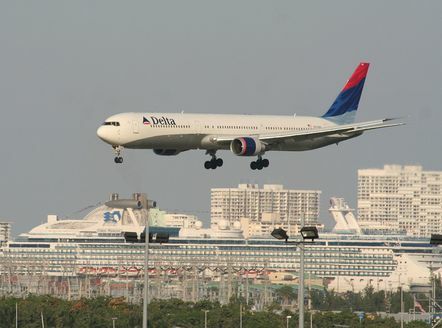 A second aircraft arrives in August when flights will go daily. Rolls-Royce Trent 900 engines have been chosen. Malaysia becomes the eighth carrier to operate the aircraft. It was good news and bad news for Ryanair last week. The Dublin based airline announced profits of £406m, a record figure and much in line with expectations. Speaking on the BBC World Service, prior to the announcement, Business Travel News Editor in Chief Malcolm Ginsberg had predicted a similar number. France’s Toulouse-Blagnac Airport has become the world’s first airport to trial a system called Near Field Communication (NFC) to allow passengers to pass through the airport’s checks, controls and gates using only their mobile phones. The airport will select 50 passengers to test this new SIM-based service on BlackBerry smartphones over the summer. The trial is a joint effort between SITA, Toulouse-Blagnac Airport, Orange and BlackBerry.